Ever since I bought the Note 8 I was highly dissapointed and after a month of use I exchanged it. I've been on Huawei ever since and wasn't sure whether I should switch to the S10E but I did...and I do not regret it, the phone feels phenomenal - easy and compact. The screen is superb and there is absolutely no lag on the software whatsoever. They've surely improved with One UI. It's got a bit of a learning curve but that's how it is with every new thing. The only thing that could be a little better is the battery life. I can get to the end of the day with about 10-20% battery left. Overall I'm very satisfied. 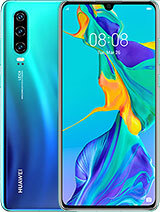 Anonymous, 20 Apr 2019Here in the philippines the price of Huawei P30 and Samsung S10e is almost the same. P30 or S1... moreAnticipate your use. How long will you use the phone? Are you willing to compromise better performance for better camera zoom? Do prefer to use specific earphone models? Is 128GB enough? Hwawei can't use the standard 3.5mm earphone jack and microSD card. Anonymous, 19 Apr 2019Are you using the exynos version or the snapdragon version? If you are using the exynos versio... moreThe game performance is flawless. It runs PUBG and other high end games smoothly in high graphics with exynos system. Anonymous, 18 Apr 2019S10e or S9? for cameraIf it is based on the main camera only, I am sure both are the same. S10e has the additional camera for fun while S9 only has one cam. 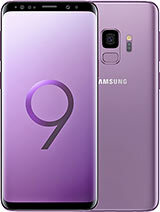 So, if you are new buyer or want to upgrade the old one, I think you must buy S10e. Anonymous, 18 Apr 2019Did it comes with pre installed screen protector right out of the box.Yes for some regions. The website says it may vary depending upon the region. Regardless, it is not that good and you may want to replace it with something else. Anonymous, 17 Apr 2019A fantastic phone. Typing this on the s10e and it's everything I wanted and more. Thank yo... moreAre you using the exynos version or the snapdragon version? If you are using the exynos version how is the game performance of the phone? Anonymous, 18 Apr 2019Did it comes with pre installed screen protector right out of the box.Yes, front, side, back. 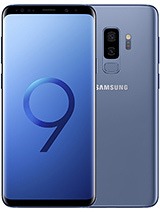 I keep thinking this a crappy version of the s10 but it seems to have pretty much the same stuff except for the zoom camera. Anonymous, 17 Apr 2019A fantastic phone. Typing this on the s10e and it's everything I wanted and more. Thank yo... moreDid it comes with pre installed screen protector right out of the box. Anonymous, 16 Apr 2019Hhaha I bet my A5 last longer than you 10e....The A series is not the best but it's perfect in every way. Like the display is still FHD+ but makes battery last longer. No heating problem when i using it for streaming or playing games. Chipset is not beast as the S series, but still no lag for daily use. The camera is less but fine with that. A82018 user. 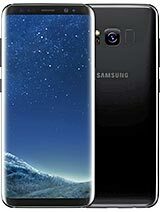 Looking for upgrade to s10e this year..camera is main reason. Typing this on the s10e and it's everything I wanted and more. 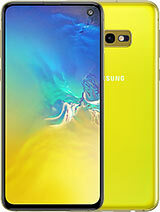 Total of 612 user reviews and opinions for Samsung Galaxy S10e.